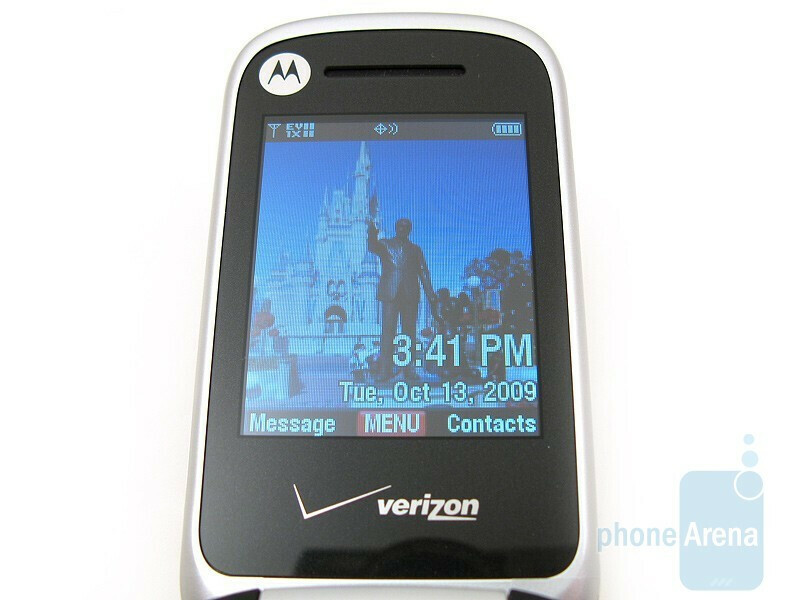 As the Motorola V9m was the last in the RAZR series and was launched in 2007, there have been less iconic flip-phones released by the manufacture since then. 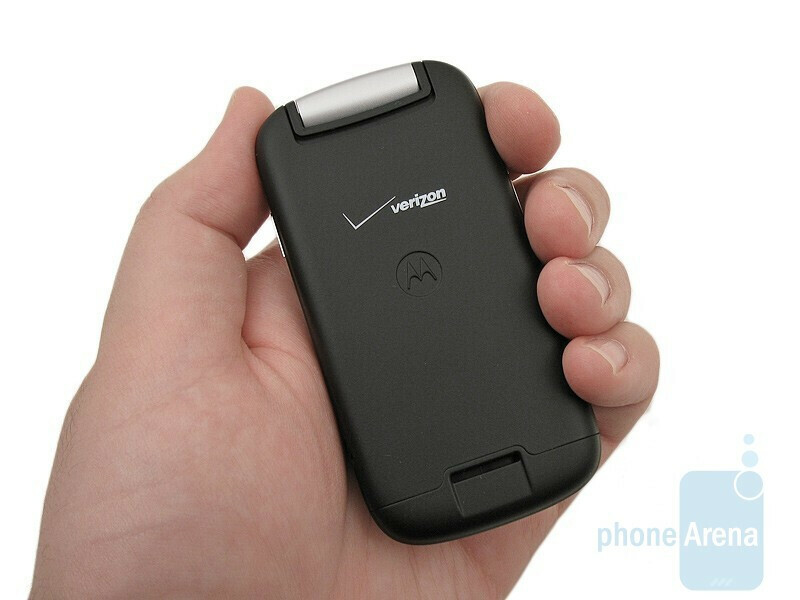 Two devices that were meant to fill the void last year were the Motorola W755 and the Rapture VU30. 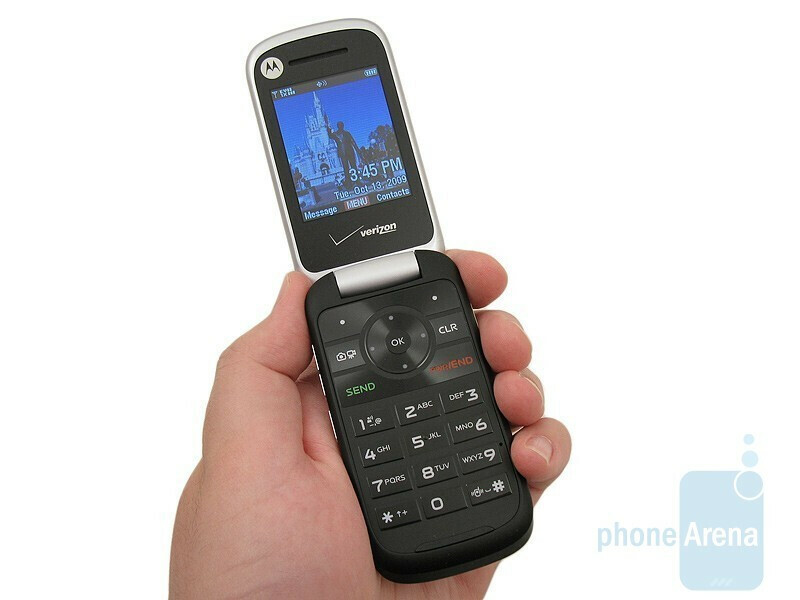 The W755 was more of an entry level phone with basic features, where the Rapture VU30 was a mid-level device with a more attractive design. 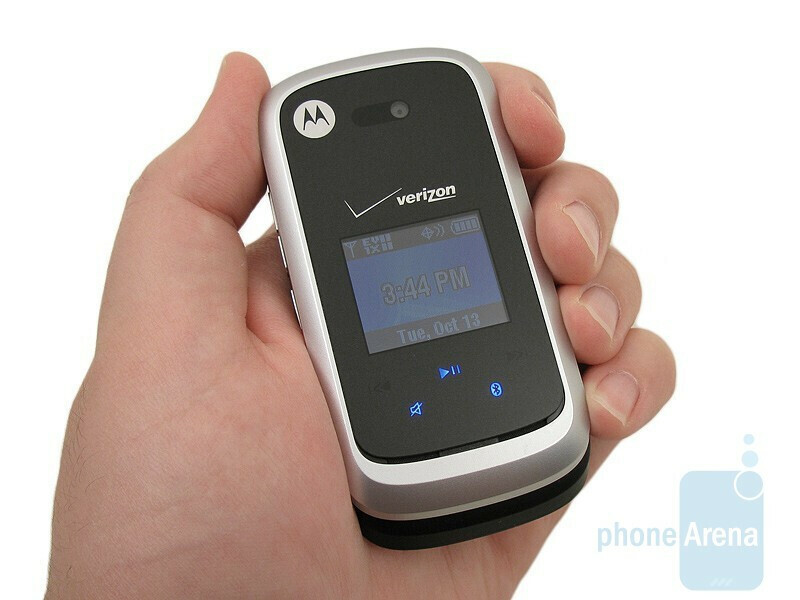 Now enters the Motorola Entice W766, as the replacement to the W755, which sports a new look and larger displays, but as competition grows from other competitors, such as the LG VX8360 and Samsung Alias 2, does the Entice have what it takes? 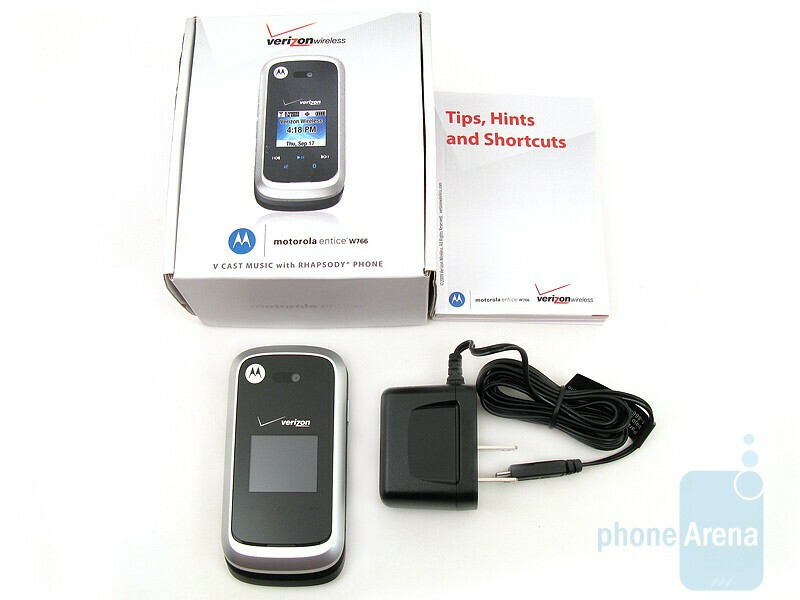 Included in the retail package are the Motorola Entice W766 phone, 940mAh battery, wall charger and user manual. The overall appearance of the Entice W766 is that it is more streamlined than its predecessor. The front flip is now black with silver accents, while the internal keyboard remains all black and the battery cover continues to use the soft-touch coating. The rounded edges on the Entice give it a more pleasing shape, but also make it feel less “square” in your hand and not as noticeable when in your pocket. 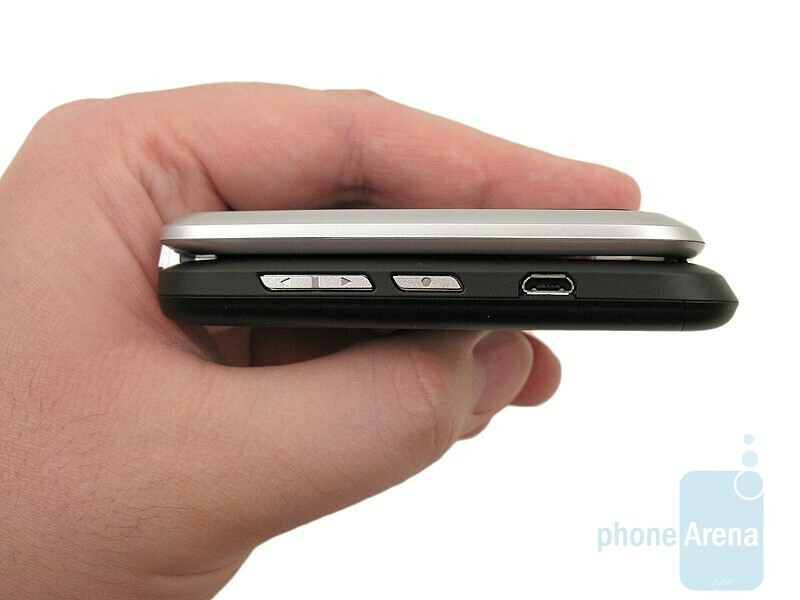 You can compare the Motorola Entice W766 with many other phones using our Size Visualization Tool. 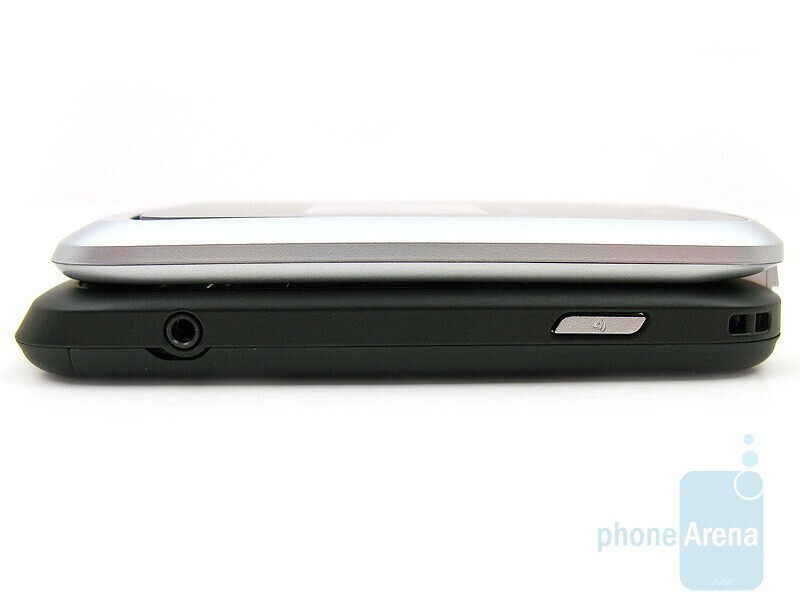 The larger 1.4-inch external display on the Entice is a noticeable improvement over the 1-inch display on the W755, as it is easier to view the date & time, alerts, and song titles when playing back music. Below it are 5 touch-sensitive buttons to turn Bluetooth on and off, set the phone to vibrate, and access the music player with play/pause, rewind and fast-forward. We are glad to see this carry over from the W755, as it is nice to have access to these features without having to open up the phone. Located on the left side are the volume rocker, smart key (which has a few functions), and microUSB port, with the VoiceCommand key and 2.5mm headset jack on the right. 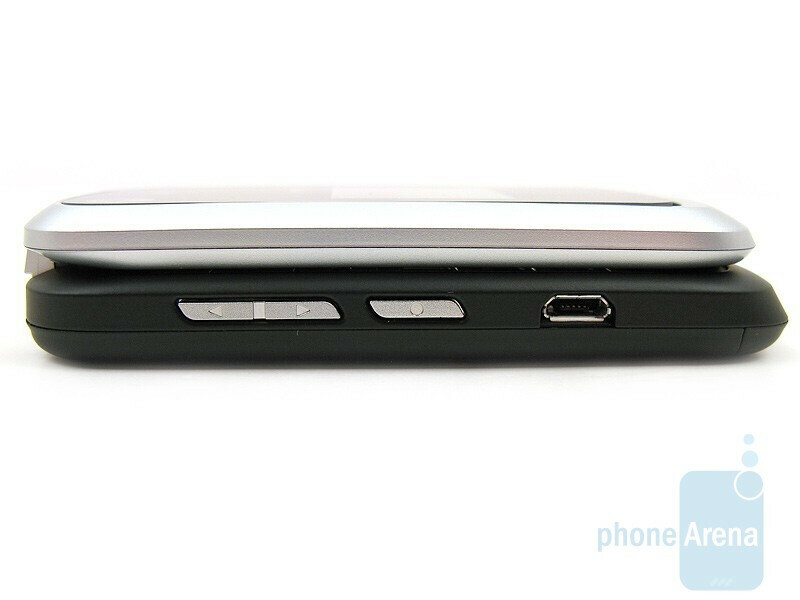 The 2MP camera in on the front and the microSDHC memory card slot with 8GB support is on the back under the battery. 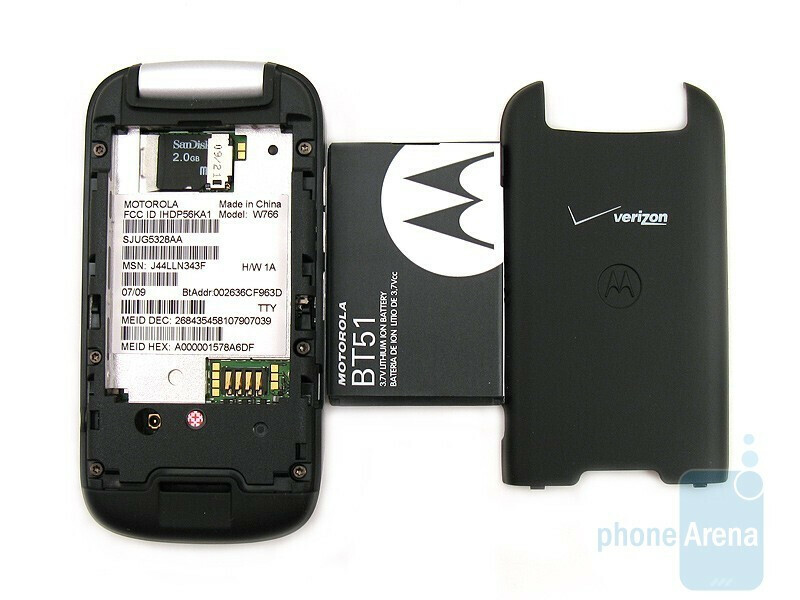 We are unsure as to why Motorola continues to place the memory card slot there, as you have to power the phone off and remove the battery to be able to access it. When opening and closing the flip, the hinge operates quite smoothly and there are no creaking sounds. The internal display has also received an increase in size, up from 1.9-inches to 2.2-inches, but the resolutions remains the same at 176x220 pixels and with only 65K color support. Despite its larger size, we noticed that the display on the Entice almost look “blurry” or “out-of-focus”, and when moving side-to-side we could see changes to the brightness and contrast on the screen. We checked with our W755 and it did not suffer from these issues. After a few hours of using the Entice, the display began to give us a headache, and we had to put the phone down. We even had a few other people look at it next to the W755 and all of them agreed that the internal display on the Entice was not as clear as the W755 and did give some eye strain. We consider this to be a serious issue with the Entice, as users will no doubt be using the display day after day. 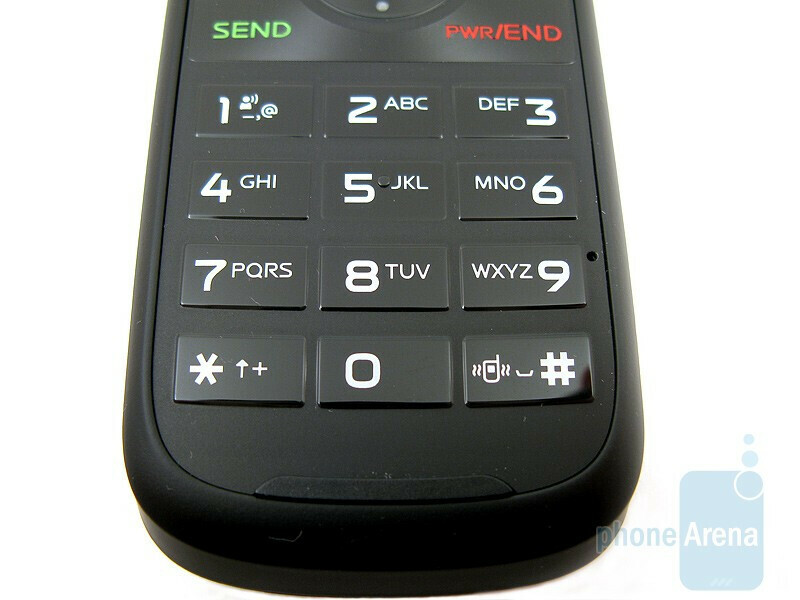 Located on the bottom flip is the large circular d-pad and numeric keypad, all of which have a bright white backlight. 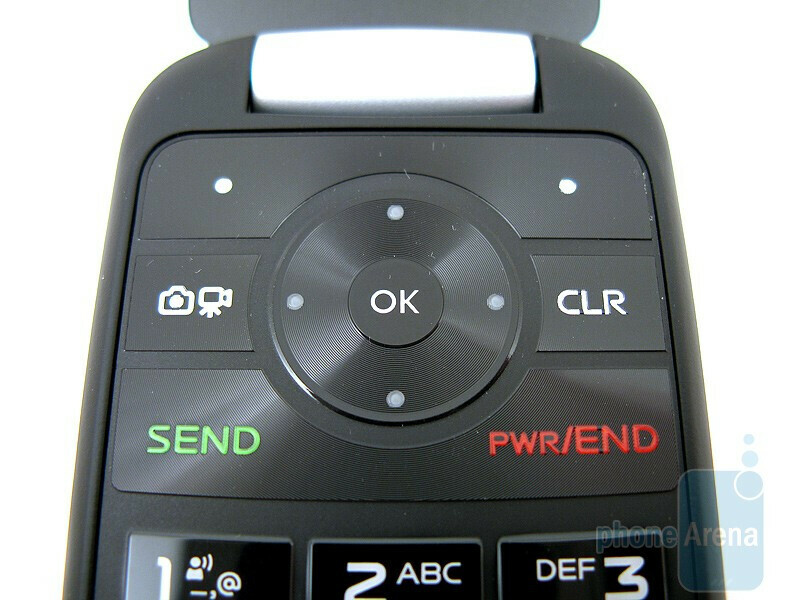 The d-pad is simple to use for accessing different parts of the phone’s software and the keypad has large buttons with good feedback, but they produce less of a “clicking” sound when pressed than the W755. to be honest, I don't think I would consider the Alias2 and the w766 to be in the same catergory.